The governor's criticism of Florida as a donor state sets off renewed debate over high-speed rail. A two-sentence tweet from Gov. 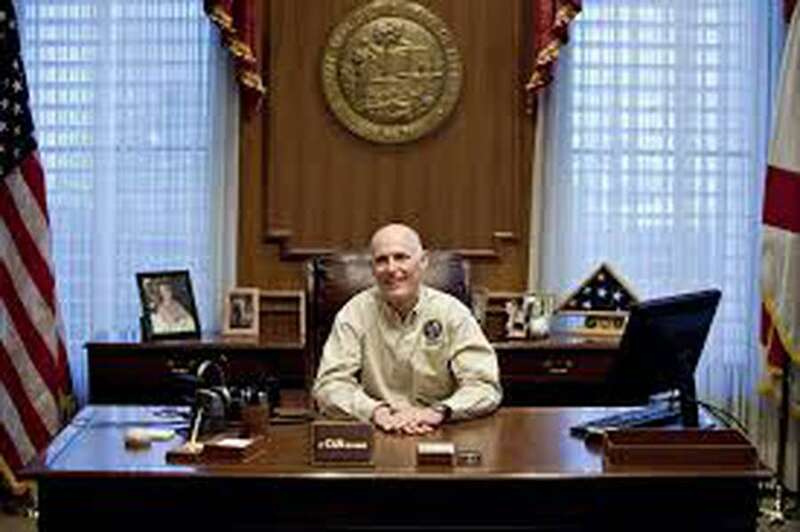 Rick Scott fired up a lot of keyboards in recent days. On his campaign's Twitter account, Scott last Friday lamented Florida's reputation as a donor state that sends more federal money to Washington than it gets back in return, a reflection in some cases of decades-old federal funding formulas. Scott, who's challenging three-term Democratic Sen. Bill Nelson, was talking specifically about federal gas taxes that help pay for roads, bridges and other transportation-related projects. "Florida hasn't received its fair share of federal transportation funding for decades," Scott tweeted. "That's wrong, and as your Senator I'll fight to secure real results for our state." Scott's assertion brought swift contradictions from others and immediate reminders of the governor's decision to reject billions of dollars in high-speed rail money in 2011. (Scott also opposed Medicaid expansion after originally supporting it, which would have sent billions to Florida for a three-year period). Scott's campaign doesn't see a connection between his tweet and the high-speed rail debate. "High-speed rail was a multi-billion dollar boondoggle paid for with one-time money from the stimulus bill," Scott's campaign said. "This is unrelated to the decades-long inequity between what Florida sends to the federal government and what we receive back in infrastructure funding. Bill Nelson has failed for decades to fix this problem."